Many gamers have wondered why Red Faction: Guerrilla was lacking any kind of co-op, myself included. The setting felt perfect for sitting in with a buddy to destroy as many things as possible. Even the developers looked at it from that angle, and gave it the old college try. 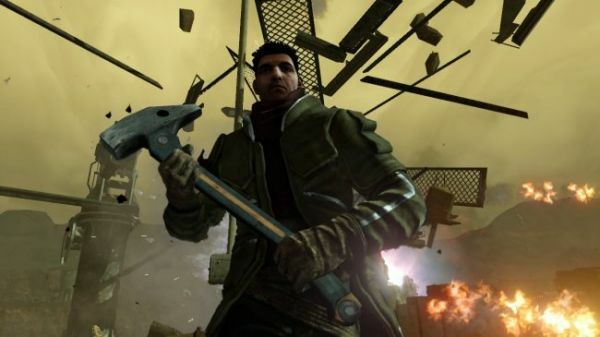 Unfortunately, in spite of having some wonderful DLC, Red Faction still won't see any co-op action. Volition games Associate Producer Sean Kennedy explains how technical limitations presented a challenge for the game itself, nixing co-op. “While co-op would be amazing in Red Faction: Guerrilla, it was just something that was just not technically possible with everything else we are doing in the game going on. Being able to have 16 player multiplayer with the same level of destruction as the single player was a huge undertaking and something that for a time we wondered if we would be able to do. To do that over a network, with all the destruction and players was a lot of work and pushing the hardware hard, and that is just within a single MP map. This definitely shows us that some games can't get the best of both worlds. Developers have to balance their decisions to do things a certain way, and this just happens to be how Red Faction: Guerrilla went. Let us know what you thought of the game as is! Page created in 0.6162 seconds.